A site for Soar eyes! ARE there any boaters out there who would love their own private, secluded, free mooring where you don’t even have to lock up when you leave? This was the ambition of continuous cruisers Saul and Debbie Mahoney who two years ago realised their dream – by buying their own island. 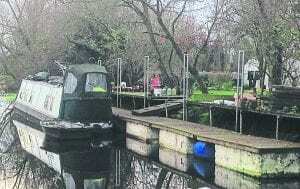 The couple now live what many would consider to be an idyllic lifestyle and I was able to meet them on their one-acre island in the River Soar in Leicestershire. 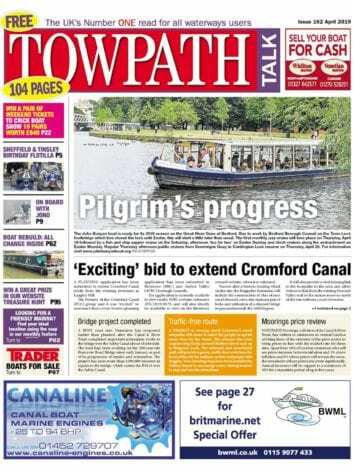 The search for their goal took them to all parts of the canal system, initially looking for a lock cottage. Spotting an island for sale on a property website was the turning point in their lives. Although they did not really know where the island was or anything about it they had to make a hasty decision as the auction was less than two weeks away. However, there were others there who wanted to own their own island and the bidding reached the couple’s limit. “Debbie felt it was worth going one bid above our limit and that was it – we suddenly became owners of a one-acre island,” said Saul. That is when the adventure and complete change in lifestyle really began. 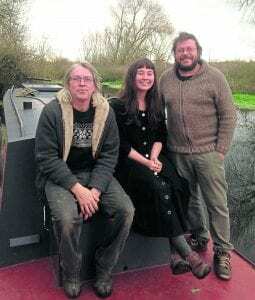 They took their 57ft narrowboat Song of the Morning north along the Grand Union and down the River Soar to their own isolated island. After working for Disney in distribution based in London, suddenly finding himself the owner of an island miles from his comfort zone brought major challenges for Saul when he moved there in August 2016. Solving the water supply problem was also paramount and they were delighted to learn from the previous owner that there was a borehole on the island going down to a depth of 90ft. “Locating the disused borehole and trying to get water from it was fraught with difficulties but when we managed to draw some water it smelled like rotten eggs,” said Saul. Since then water filtration experts have installed the necessary filters to provide perfectly clean drinking water which is stored in an 800-litre tank. Additional rainwater is stored in a separate tank. 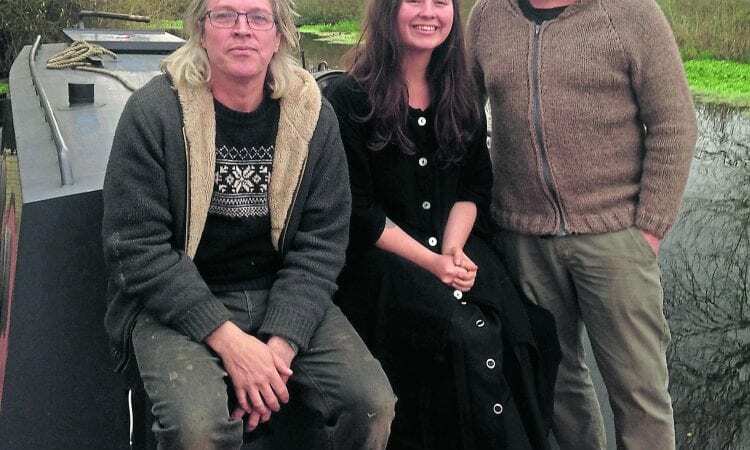 Joining the couple to share the island life are Saul’s daughter Finlay, who is studying herbalism, and her partner John. The fact that the island is almost a mile from the nearest road did not deter them from living the dream. The family group, which includes a dog called Mica and several cats, acquired a second boat, bought from the previous owners of the island. This boat, a flat fronted 35ft vessel called Growler, is now their workhorse and their main link with the outside world. The boat is used as a water taxi and transports all their requirements to the island. They also have a small rowing boat to reach the bank. “We try not to take anything to the island that we cannot get rid of,” said Saul, who advocates composting for the toilet arrangements. Separate garden composting is used for their expanding vegetable plot and greenhouse. Finlay is also growing herbs as part of her studies and the group is also hoping to keep bees and hens in the future. Power is supplied by a huge solar-powered bank of batteries in a purpose-built shed providing 240 volts. There is also a back-up generator for the winter months. 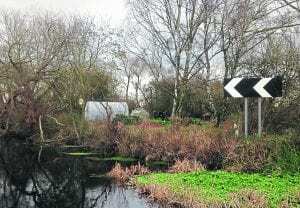 Apart from the wildlife on the island the group also has the benefit of a nature reserve on the opposite bank to the towpath. Surprisingly, the island is not natural but was created circa 1790 when the navigation company dug a straight cut to bypass sharp bends in the river. Now it provides a safe, peaceful world, teeming with wildlife, for boaters who are living the dream.